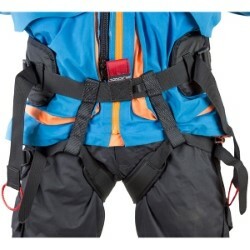 Snowkite harnesses designed specifically with snow or land kiting in mind. One size fits all design is comfortable to wear and fits over winter clothing. The seat design and leg straps stop the harness from riding up. 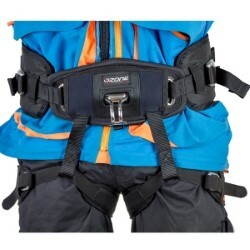 The Ozone Connect Pro harness is the best snowkite harness on the market. Comfortable back and leg straps fit comfortably over winter clothing and the stainless steel spreader bar makes hooking and unhooking a breeze. It's also a fantastic harness for landboarding or buggying.